Protect your pet from loss right now! Nobody plans to lose their pets! However, hundreds of animals are lost every day! 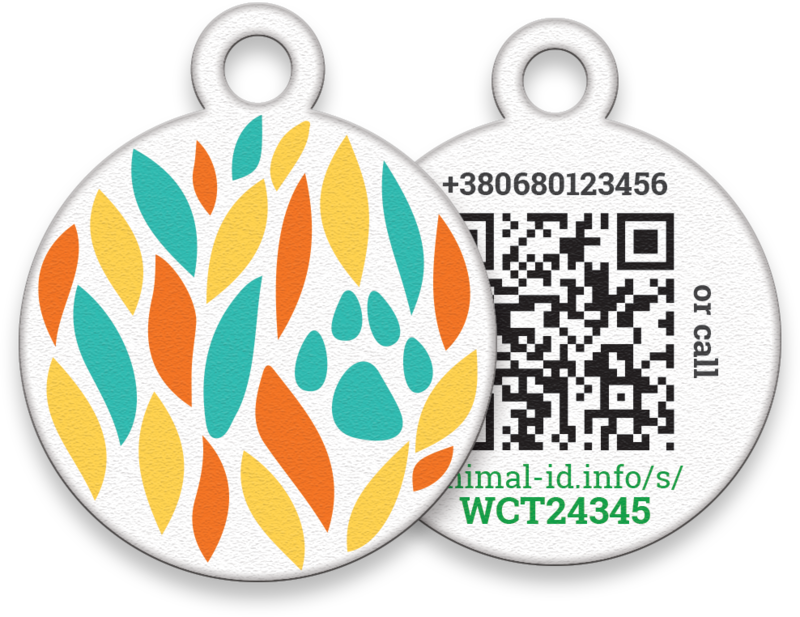 Token with QR-code greatly increases the chance of returning home lost pets. It is practical, technological and easy-to-use thing that is accessible to everyone! Token animal-id has significant advantages over usual token. It is an indispensable complement to the ISO transponder or GPS collar. “The addressee animal-id.info is the future in the present! I think it is necessary for all pets, because none of us wants to lose our best friend. 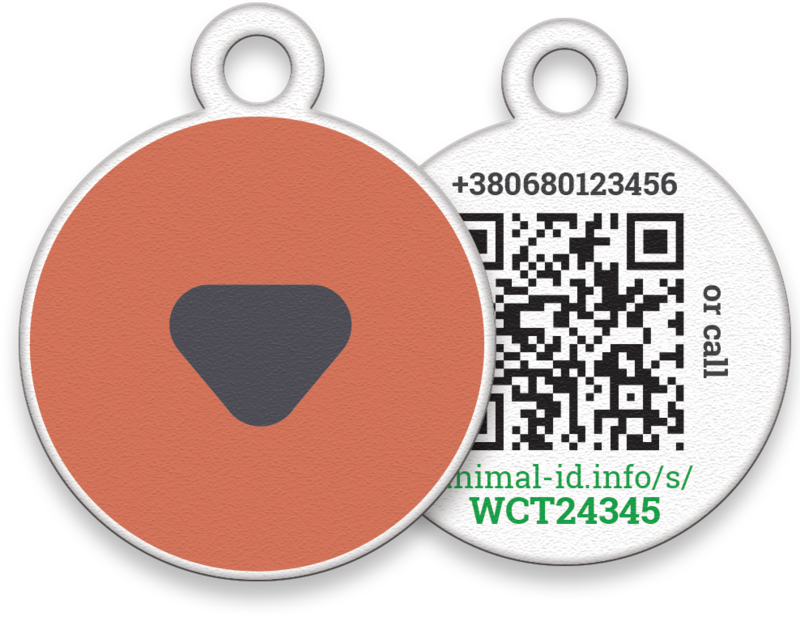 The simplest procedure for registering a token and an animal on the site - and you secure the pet: if it is lost, then the notification of reading the qr-code and the location of the animal comes to the owner - this is super-tech! Then your dog will say: "Thank you!" “Some similar tags have the animals in Germany but this tag is more functional and nicer. After the registration of the animal and the tag on animal-id.info platform my Alice received its profile in the social network for dogs :) I am looking forward to a mobile application. Thanks for the high-quality thing!”. "We are so helped by the tag with QR-code when Batokha and I go to the countryside. Because Batonio is not averse to go out with cats. Despite the fact that everyone in the village knows it, many downloaded the qr-reader, so I, in case of anything, immediately sее where my cat is. Thanks to this, more than once Baton was seen in different places, with different cats. Thanks to the developers, the thing is not only useful, but also beautiful. The tag is bright, you can see it from afar, you immediately understand that the animal is domestic, although it likes to walk." "I think many are familiar with that panic fear when the dog got carried away by smells in the forest and was lost. Now we have an animal_identification transponder, I feel calmer, because there's enough phone camera to read it, and no special devices are needed. We periodically take Sim abroad, so QR code is much more effective than a simple address book. I am also often asked about our medal and are interested in it, because it is cute and acts also as a decoration. I like that in our city we are pioneers in new technologies of animal search. For your favorite dog, all the best!"